Tom Hanks' son as Neil Armstrong in the "conspiracy" gag. Neil Armstrong: Mystery creates wonder and wonder is the basis of man's desire to understand. 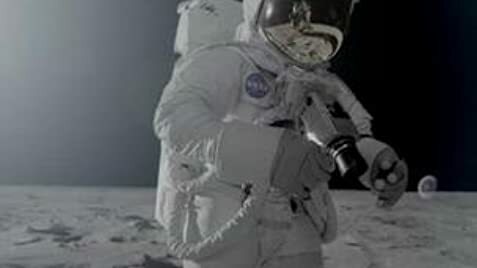 In the surface emergency sequence, neither astronaut has anything connected to the headset/biomedical connector on the front of the suit below the left shoulder. This may explain why they had trouble communicating.